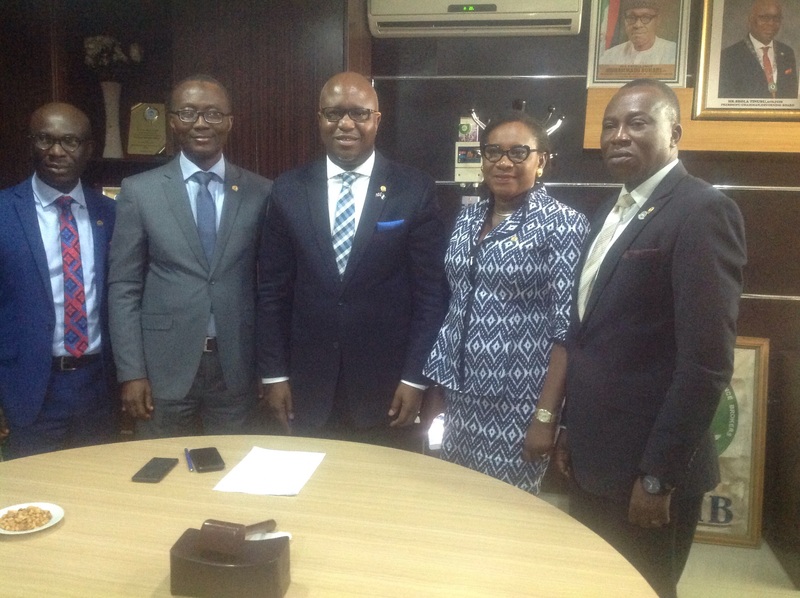 From left: Assistant Executive Secretary of the Nigerian Council of Registered Insurance Brokers; Tope Adaramola; Executive Secretary, Fatai Adegbenro; President, Shola Tinubu; Hon. Treasurer, Mrs. Ekeoma Ezeibe and Hon Auditor, Tunde Oguntade at the event. The Nigerian Council of Registered Insurance Brokers ( NCRIB) has implored the President Muhammadu Buhari led Federal Government to inject fresh ideas into the running of the nation’s economy while at the same time sustaining the tempo of existing positive economic policies it has already put in place. President of the NCRIB, Shola Tinubu, said this today at a media parley in Lagos. He stressed that the reflation of the economy should be anchored on enhanced promotion of local capacity to reduce over dependence on foreign goods and services, and by so doing reduce the strain on the nation’s currency vis a vis other foreign currencies. He maintained that government must create an improved enabling environment for business and professional growth through initiation and tenacious pursuit of laws and regulatory prescriptions that would enhance economic growth, adding that in specific terms, urgent attention must be paid to reducing poverty, which has as its bye product, unemployment and poor standard of living. “While Nigerians are awaiting government to give more teeth to implementation of Oil and Gas reforms, power sector reforms and human capital development and redouble efforts in promoting agriculture, more attention should also be given to the state of security in the country,” he said. Tinubu posited that since insurance thrives more when the economy thrives, it is the believe of the brokers fraternity that the industry will witness desired northward trend when the economy is on a sure sound footing. He also called on the government to give more impetus to the implementation of the enforcement of compulsory building insurance as enshrined in Section 64 and Section 65 of Insurance Act 2003. According to him, the unfortunate incidences of collapse buildings are actually accentuated greatly by the lax of regulatory enforcement in the construction environment. He called on the government to continually engage stakeholders in the construction built environment and related institutions to elicit their input for a long lasting solution to the malaise. 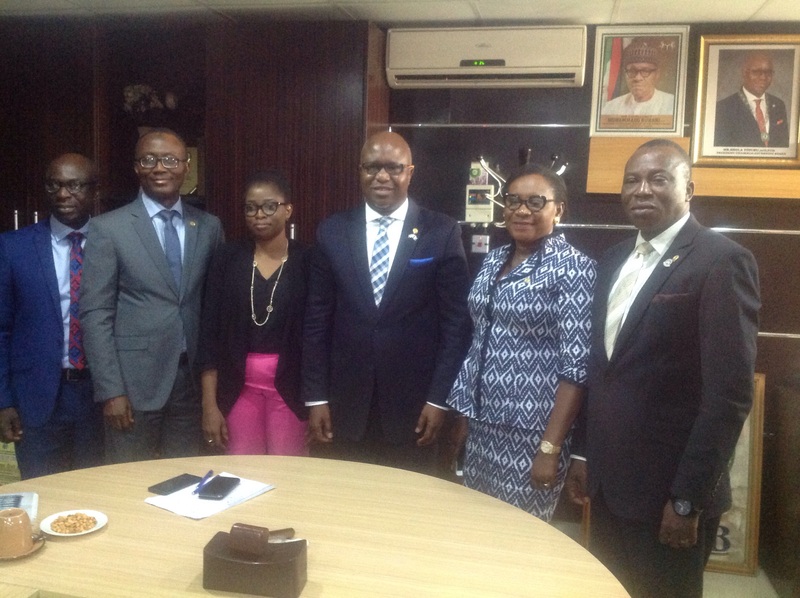 From left: Assistant Executive Secretary of the Nigerian Council of Registered Insurance Brokers; Tope Adaramola; Executive Secretary, Fatai Adegbenro; Chairman, National Association of Insurance and Pension Correspondents, Omobola Tolu-Kusimo; President, Shola Tinubu; Hon. Treasurer, Mrs. Ekeoma Ezeibe and Hon Auditor, Tunde Oguntade at the event. “In the light of recent building collapse in Lagos and Oyo State as well as other similar disasters, the NCRIB is quite touched. It is our belief that the unfortunate incidences are actually accentuated greatly by the lax of regulatory enforcement in the construction environment. “To combat this, Government needs to be more proactive in implementing building laws. 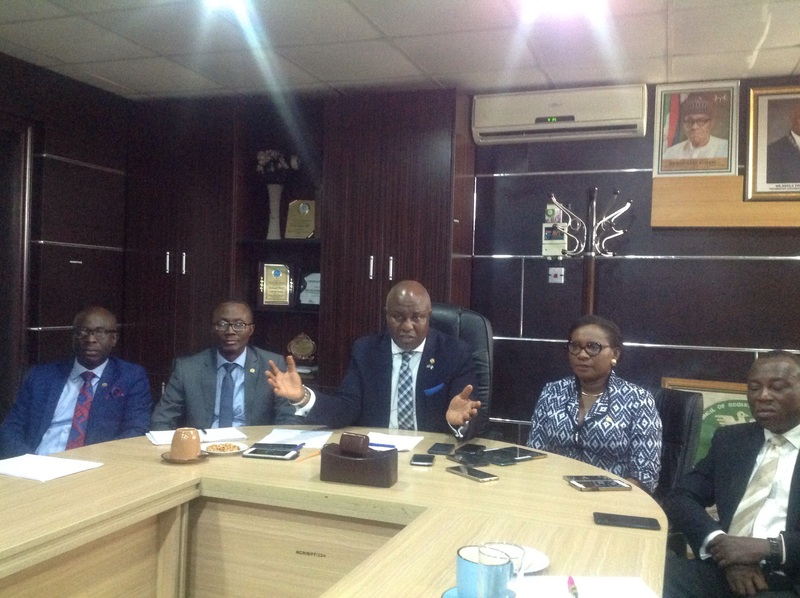 Also, they have to continually engage stakeholders in the construction built environment and related institutions to elicit their input for a long lasting solution to the malaise. “Similarly, Nigerians are also advised to, on their own, insure their personal assets in order to mitigate their losses when and if losses of this dimension do occur. Every individual should ideally live up to his responsibility of care by protecting whatever is valuable to him or her, both life and property. Our slogan has been :”Whatever is worth having, is worth insuring,” he said. The Executive Secretary of the NCRIB, Fatai Adegbenro, lauded the government for borrowing to finance infrastructure, stressing that the development of infrastructure will impact the insurance industry positively. According to him, the development of infrastructure will help create more jobs which would in return enable the citizenry acquire assets which they will procure insurance to protect.